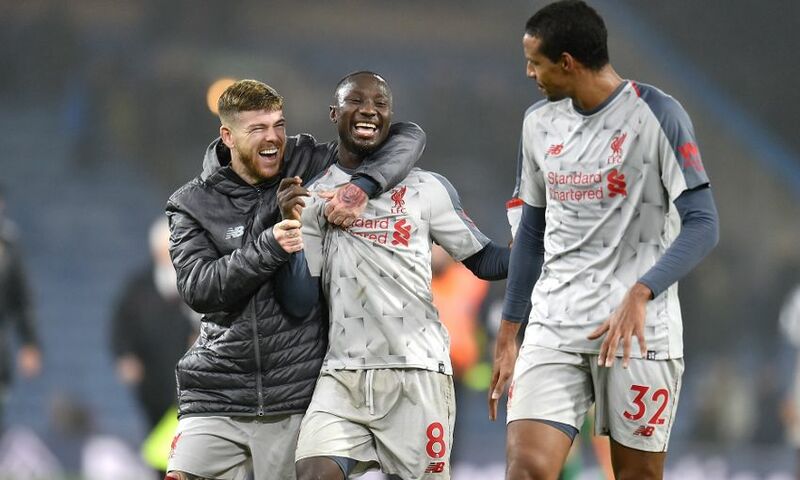 Jordan Henderson praised Naby Keita for an 'outstanding' performance on his return to the Liverpool starting line-up against Burnley. The summer signing was named in Jürgen Klopp’s XI at Turf Moor for the first time since October 3 and provided an eye-catching box-to-box display for his team. His energy from the centre was a key factor in the Reds’ second-half turnaround and he saw one shot tipped against the post by Joe Hart and another cleared off the line. “He started the season brilliantly and obviously then getting an injury set him back a little bit. But you can see how good a player he is,” Henderson told Liverpoolfc.com of Keita. Goals from James Milner, Roberto Firmino and Xherdan Shaqiri secured a 3-1 win for Liverpool after Jack Cork’s opener for the Clarets. The addition of three more points to their Premier League tally set a new club record, with the total of 39 the most ever achieved by the Reds in the first 15 games of a campaign. Klopp’s men closed the gap to leaders Manchester City as a result but Henderson insists the players are not paying close attention to what those around them are doing. “We are not really interested in City, to be honest, because there is a long way to go,” said the captain. “We know how good they are, we expect them to win. In his post-match assessment, Klopp explained that tactical adjustments at half-time helped Liverpool find greater fluency in the second period. Henderson concurred that his side improved following the break and believes the visitors were ultimately value for a hard-fought win over Burnley. “I felt as though we had control of the game for large parts of it,” he added. “It’s a tough place to come, they make it difficult and we knew that, but I thought we dealt with it really well and played some good stuff. “In the first half we didn’t create too much, we changed it a little bit at half-time in terms of tactically and I think it worked.